All I know is the fundamentals that fed the rally are still in place, and I am expecting a noticeable deceleration in jobless claims, that should translate to fuel real economic growth. 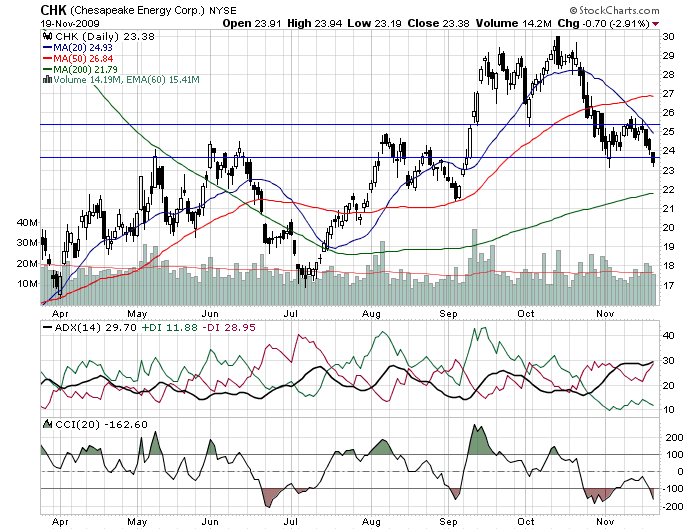 CHK is too oversold, but the negativity is very blatant. 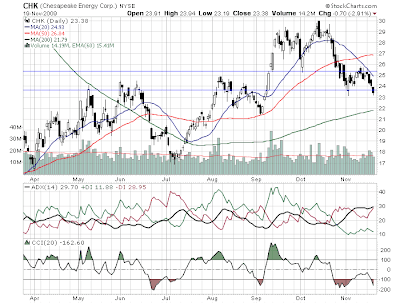 I do not mind holding this, and if it continues lower I will enter another position between 20-22. 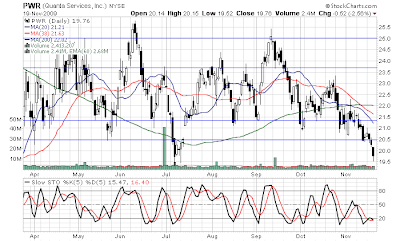 GS is around support, and since I am not expecting the market to completely break down I think GS will pop. I will most likely cover the trade between 178-180. PWR is very very oversold, and in an obvious negative trend, but at the current level it is to interesting for me to ignore. I will pick up some SQM at if it reaches its SMA support, around mid 38.